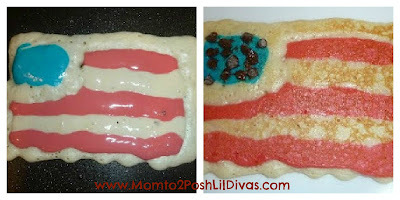 Google+ Mom to 2 Posh Lil Divas: 4th of July Food, Crafts & Fun! 4th of July Food, Crafts & Fun! The Lil Divas love celebrating America's birthday! plus it involves fireworks & we LOVE fireworks! I wanted to share some patriotic and/or red, white & blue crafts, food and fun with you. from No Time for Flashcards - super easy & so cute! and a Patriotic Goop Bath! What do you have planned for the 4th of July? SUCH fun ideas! thank you SO much for the pancake idea! 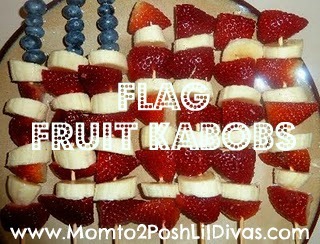 I am making flag fruit things for my family cookout tomorrow :) Love all the craft ideas to! You did an awesome job on the pancakes!